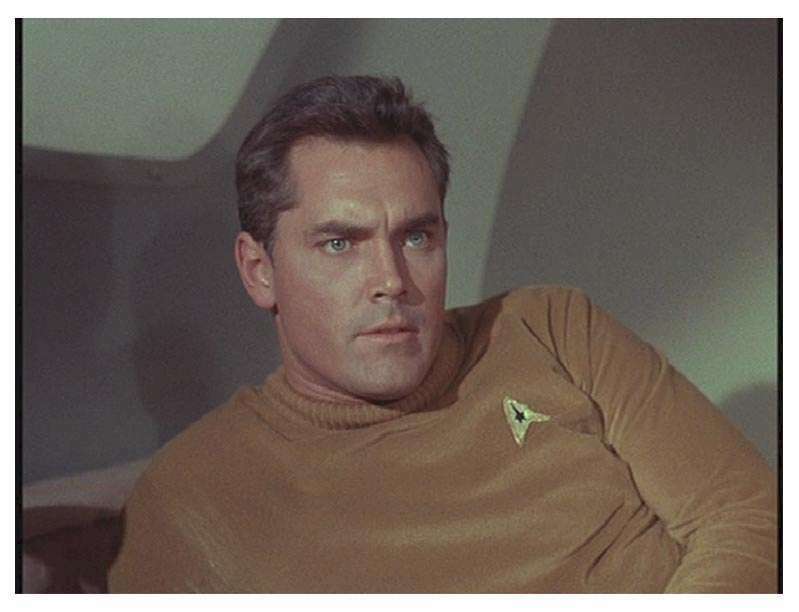 Click here for Star Trek trivia! 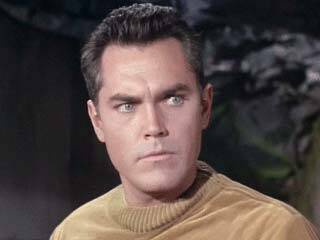 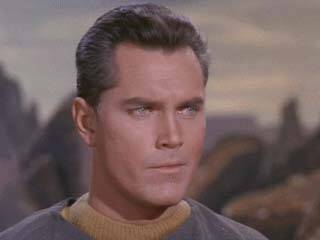 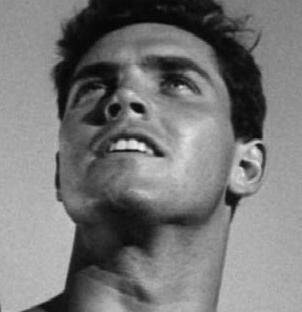 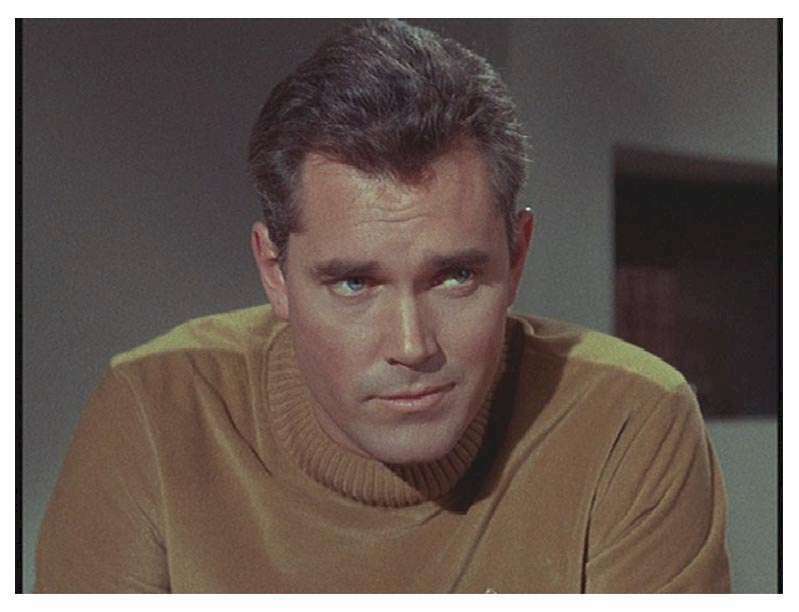 (Captain Christopher Pike) In one of the most enduring roles of his career, Jeff stars as the iconic first captain of the Federation starship, the U.S.S. 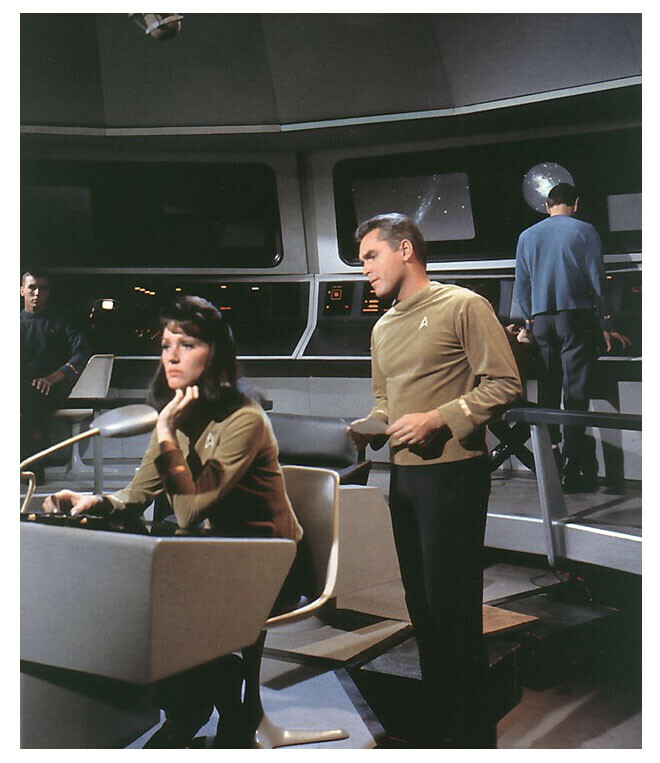 Enterprise, in "The Cage": the first pilot for what became the first Star Trek television series (a.k.a. 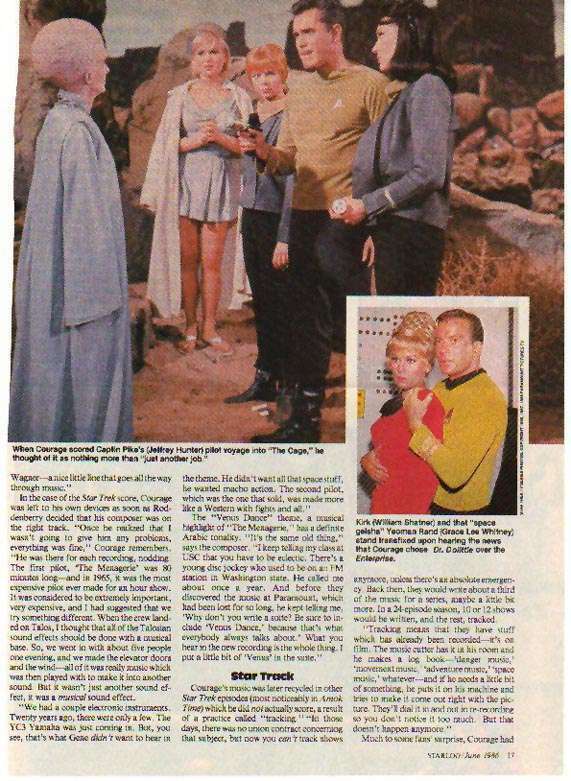 “The Original Series”). 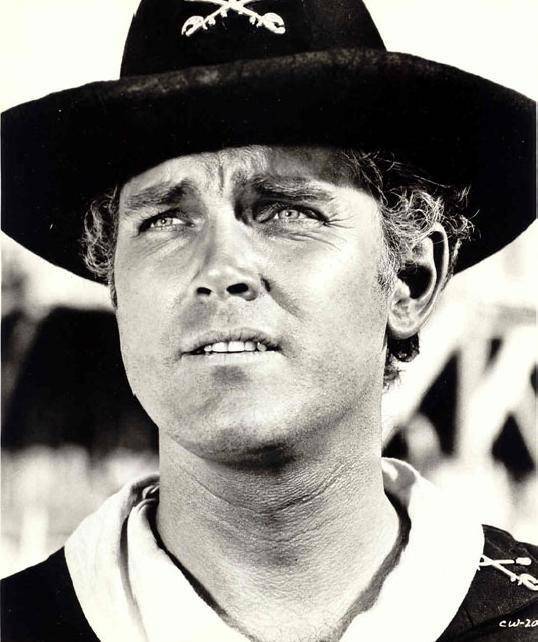 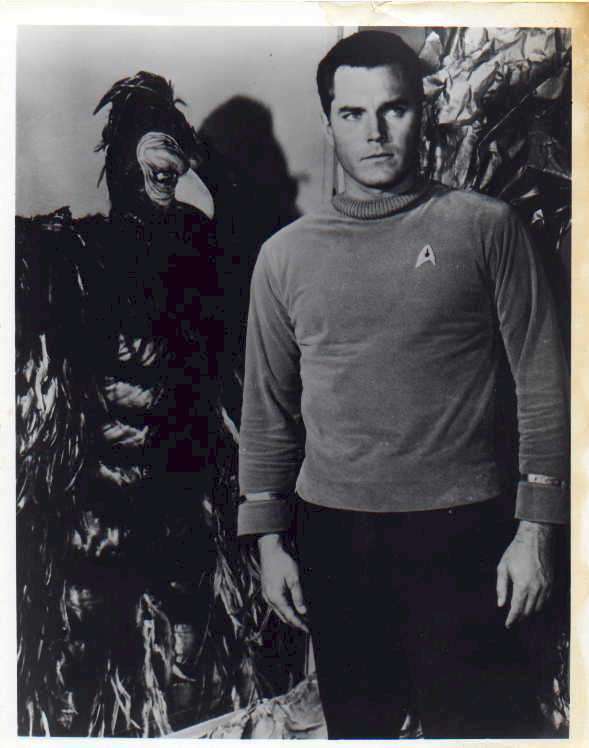 Although the first pilot was not picked up by the NBC network, a second pilot was; this pilot starred William Shatner as Captain James T. Kirk, who succeeded Pike as captain of the Enterprise. 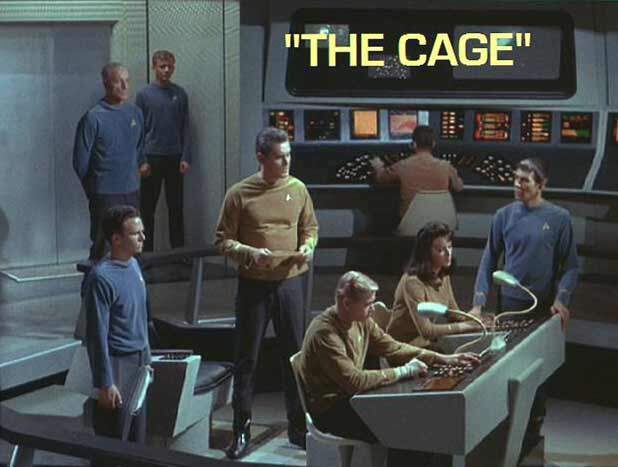 Most of the footage from "The Cage" was re-used in "The Menagerie," the only two-part episode of Star Trek: The Original Series. 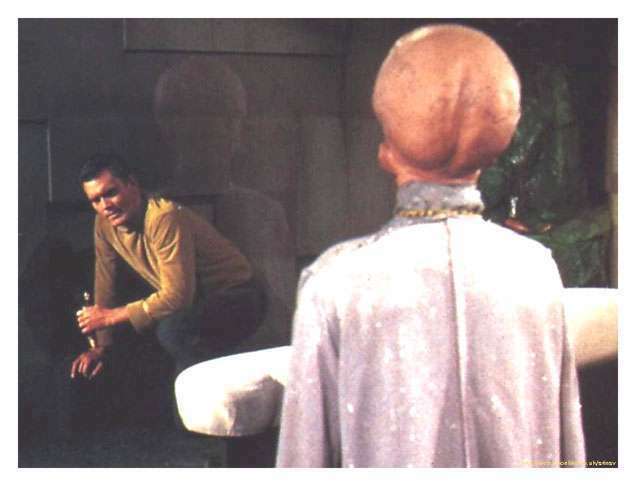 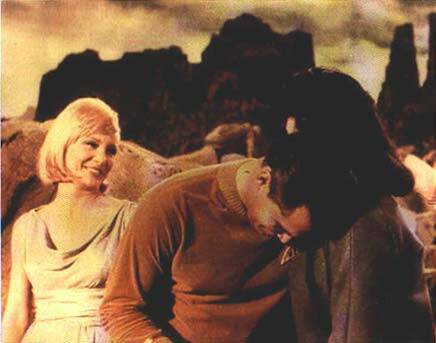 "The Menagerie," which aired during Star Trek's first season, won a Hugo Award for Best Dramatic Presentation. 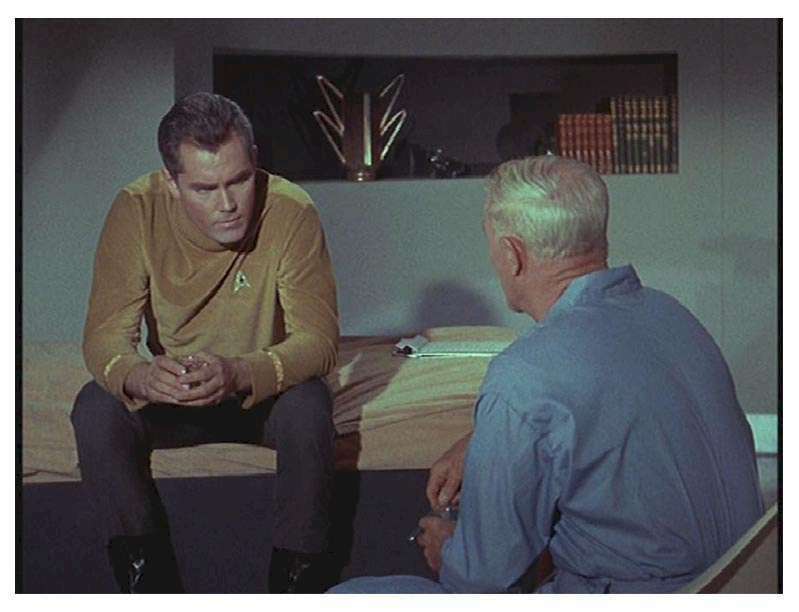 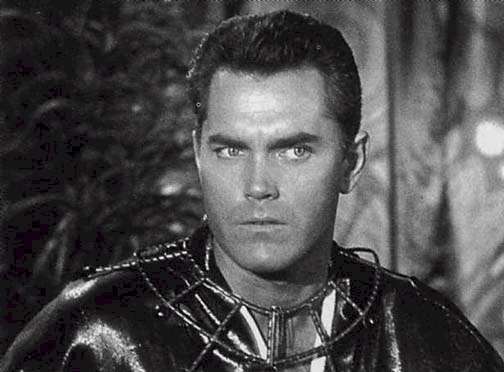 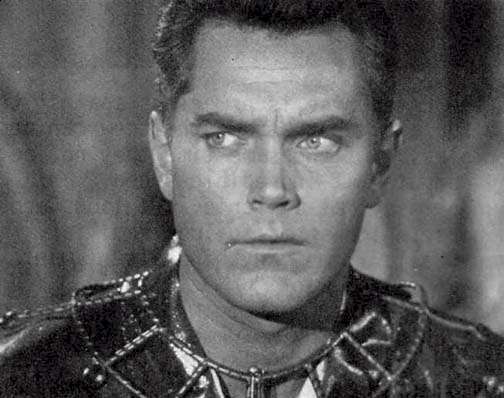 In "The Cage," Captain Pike is captured by aliens when he visits the surface of the planet Talos IV in response to a distress call; this call was apparently broadcast by the crew of a research vessel that had crashed on the planet many years before. 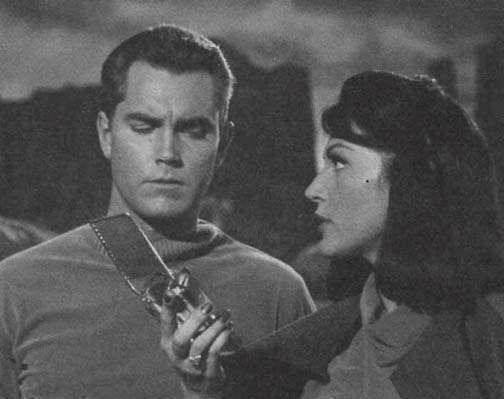 In his efforts to escape and return to the Enterprise, Pike has to overcome the aliens' ability to immerse him in compelling but illusory experiences. 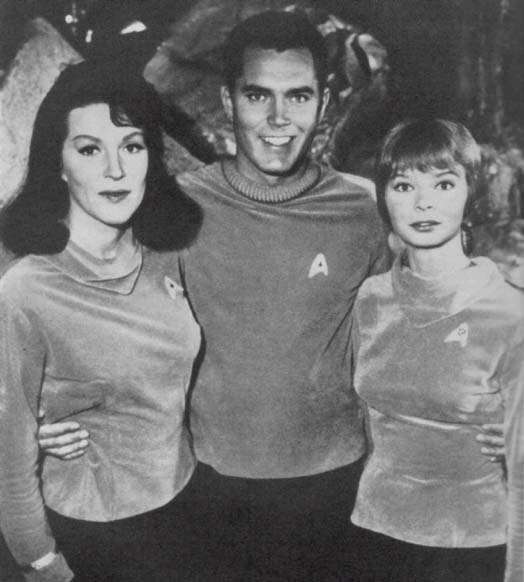 Co-stars Susan Oliver as Vina, Leonard Nimoy as Mr. Spock, and Majel Barrett as Number One. 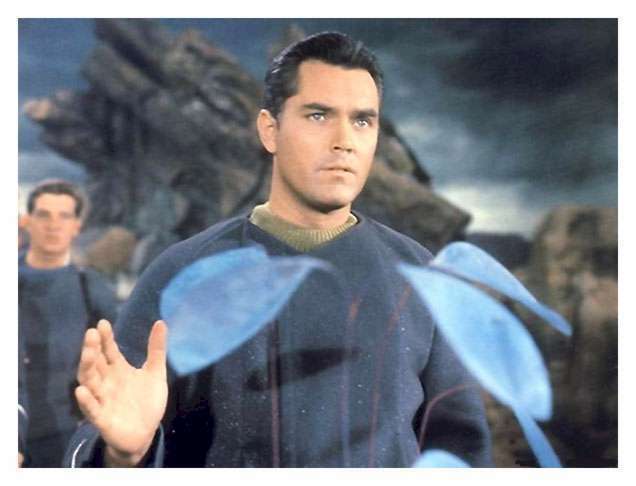 In "The Menagerie," which takes place some years after the events in "The Cage," Pike, severely disabled by a radioactive explosion, is now confined to a wheelchair and can only communicate through "Yes" or "No" electronic signals. 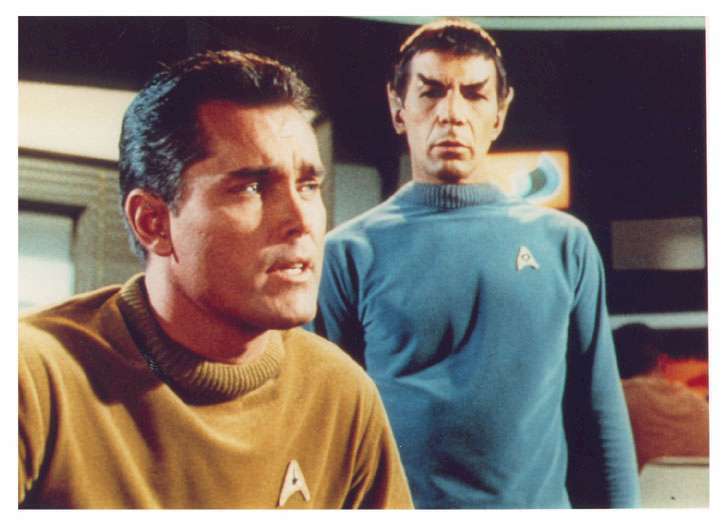 Mr. Spock (Nimoy) is court-martialed for trying to take Pike back to Talos IV, which had been declared off-limits to Federation vessels after Pike's prior misadventure there. 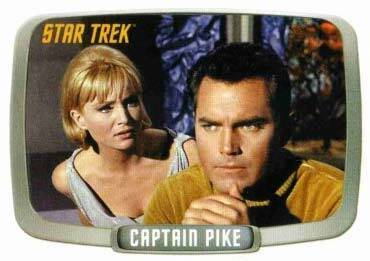 Footage from "The Cage" is used as backstory for Spock's defense during the court-martial proceedings; the disabled Pike is portrayed by Sean Kenney. 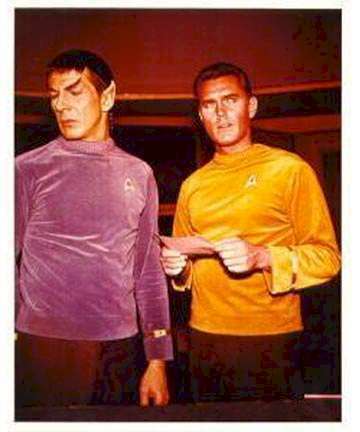 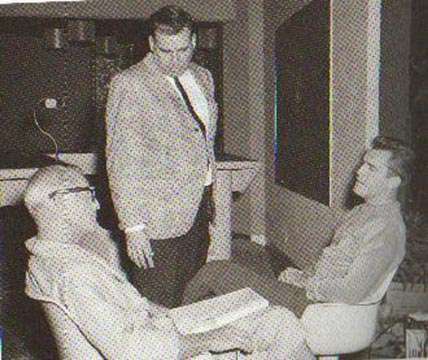 Regular cast members of Star Trek: The Original Series co-star, including William Shatner as Kirk and DeForest Kelley as Dr. McCoy. 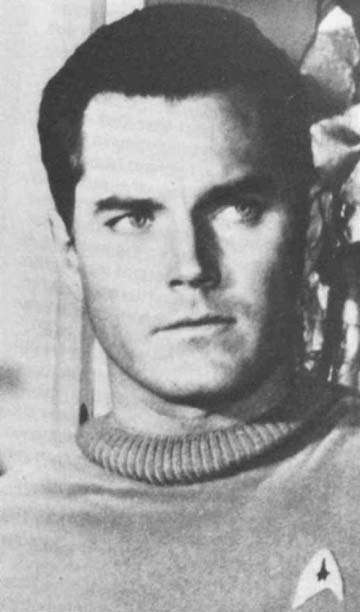 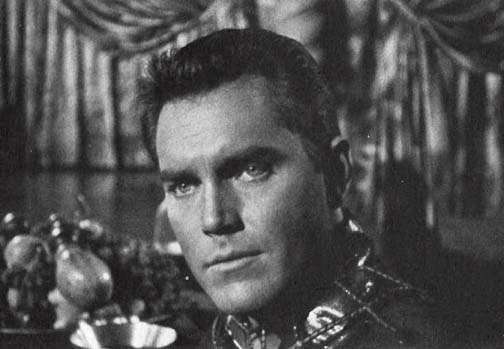 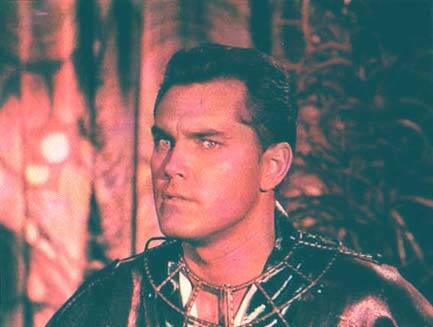 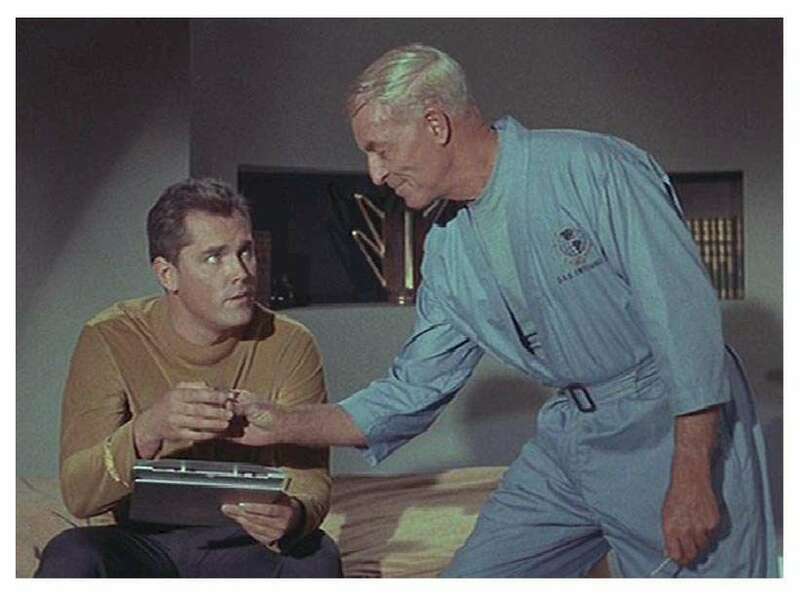 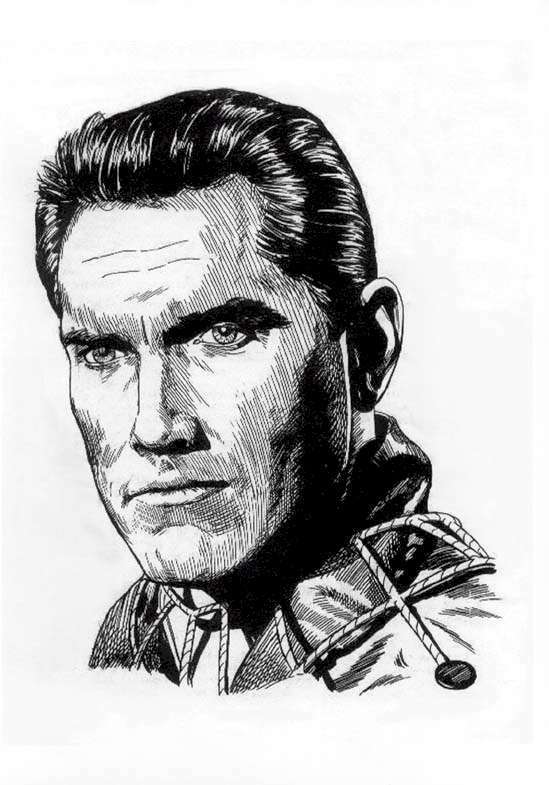 Lloyd Bridges was considered for the role of Captain Christopher Pike in the "The Cage" before Jeff was cast in the role. 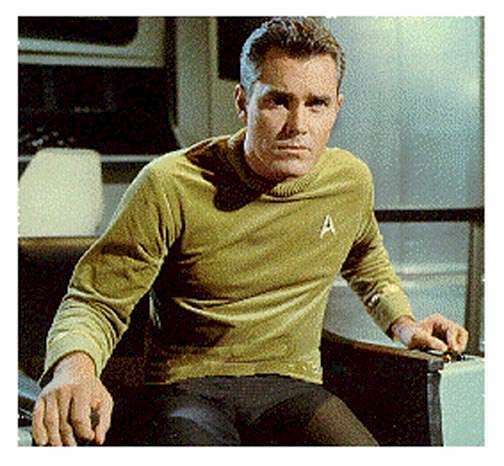 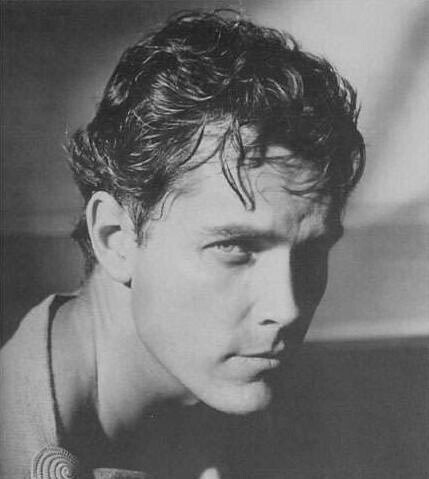 In J.J. Abrams' 2009 Star Trek reboot film, Bruce Greenwood played Christopher Pike.